Home » creative » Facebook » iphone » MR. D.I.Y. » photo » purchase » spend » tag » vouchers » MR. D.I.Y. BUY, SNAP & WIN iPhone X 256GB Contest! MR. D.I.Y. 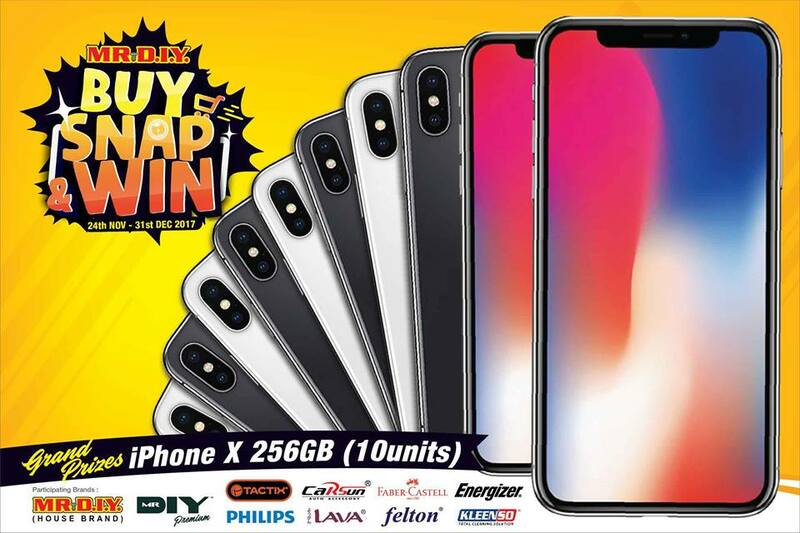 BUY, SNAP & WIN iPhone X 256GB Contest! Buy product(s) worth RM5 & above of any participating brands at MR. D.I.Y. stores. Snap a photo of yourself and the purchased product with MR. D.I.Y. entrance logo. Submit photo and tag 10 friends in MR. D.I.Y. 's main contest post with caption. Visit MR. D.I.Y. BUY, SNAP & WIN iPhone X 256GB terms & conditions for more details.